Mobile Health Computing: What's the best iPad stylus pen? What's the best iPad stylus pen? I love my iPad, but I miss inking on a traditional tablet PC. That's why I'm now on the hunt to find a nice stylus pen for the Apple iPad. There are a variety of them out there, but which one is the "best" one? 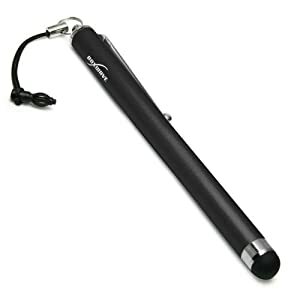 It can't be too easy to make a functional capacitive stylus. Maybe that's why some of these pens have gotten poor ratings by users. What's been your experience with these stylus pens? This weekend, I plan to visit my local Apple store so that I can test some of them out.